Compensation was provided by Target on behalf of Mode Media. As always, all opinions are 100% mine! Fall is officially here and you can bet I am pulling out all the stops; drinking pumpkin-spice lattes, apple picking, and stocking up on plaid from Target. 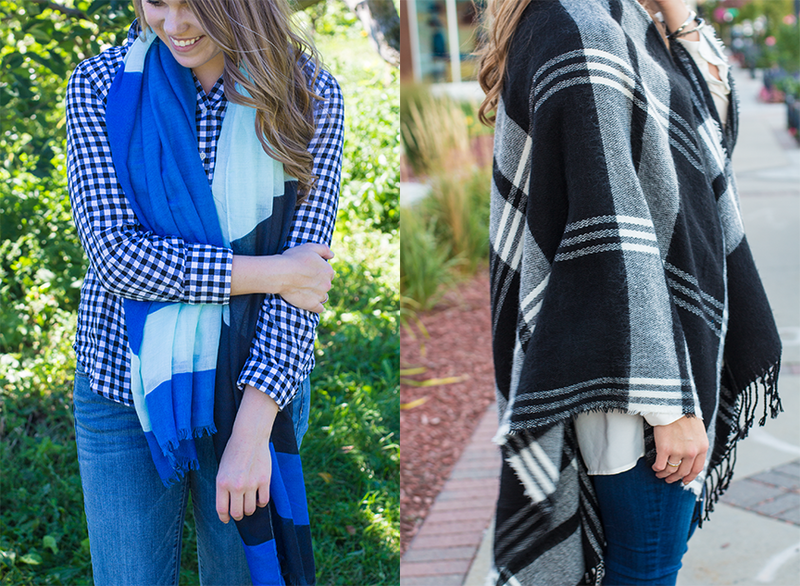 There is something so easy about throwing on a comfortable plaid top or cape. I personally think fall and winter are "effortless" seasons; all you need is booties, a good pair of pants, and a plaid top. These two outfits will be on frequent rotation this season. 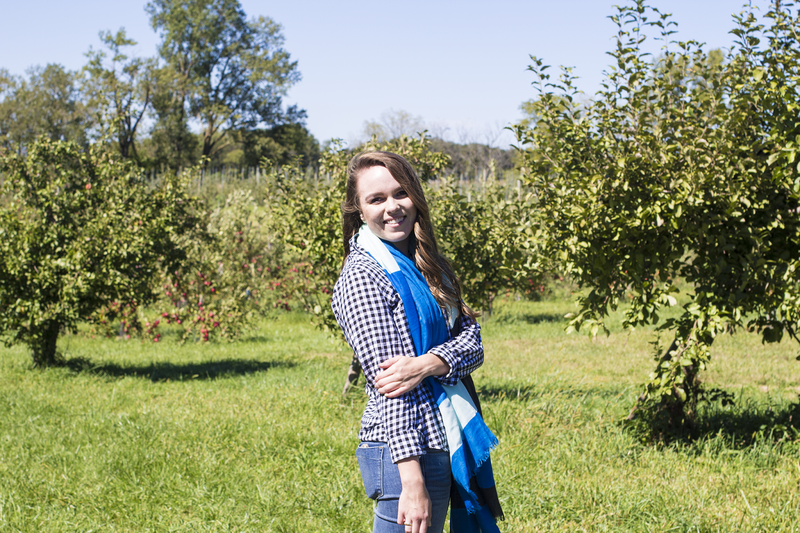 The first is a play on patterns, with a small plaid pattern (gingham) and large plaid scarf. Mixing prints adds another dimension to your look and like I said before, it's easy! 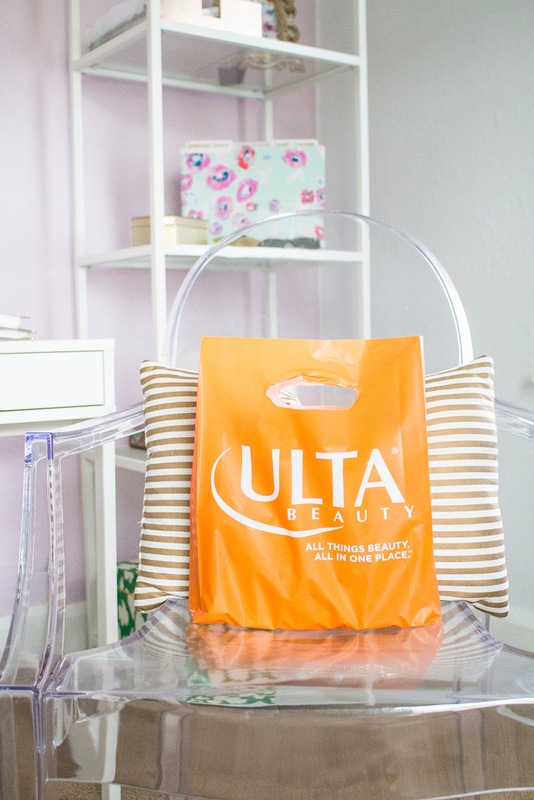 The second look involves this adorable (and super soft) cape. 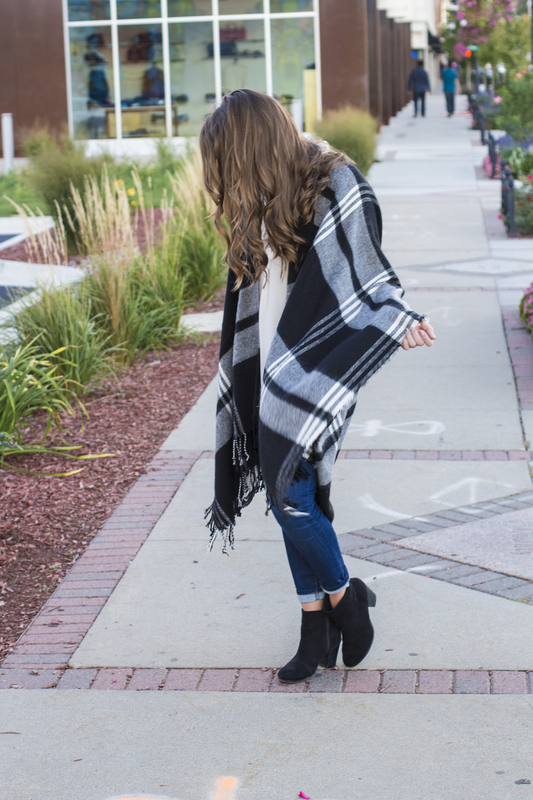 These are not only great for minimal layering in the fall, but you can throw a sweater and turtleneck underneath and wear it in the winter! 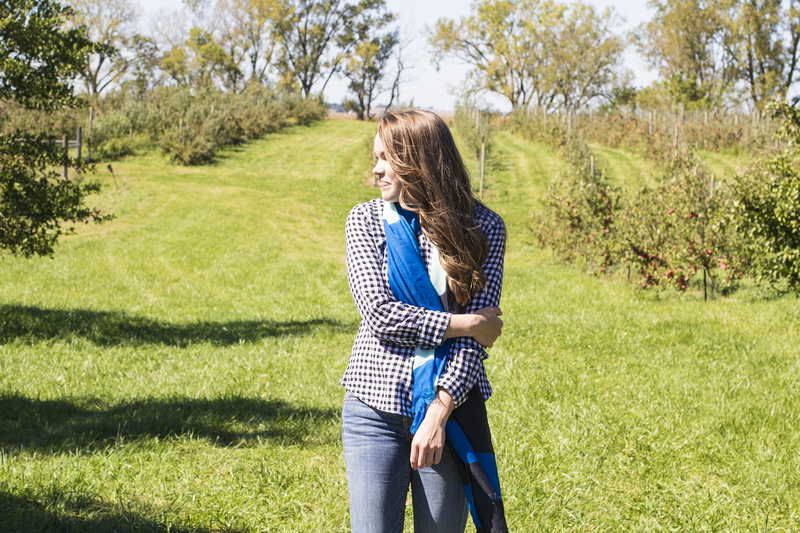 You may have seen me mix prints before and this season is no exception with this scarf and gingham top. Not only that, but both of these pieces are interchangeable with the rest of my wardrobe. (How cute would this top be with a faux fur vest over top?) 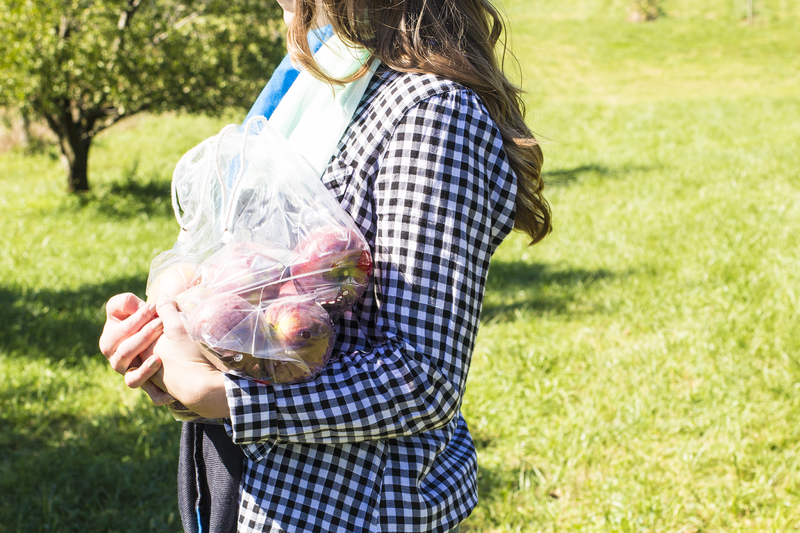 It was the perfect outfit to go apple picking in! 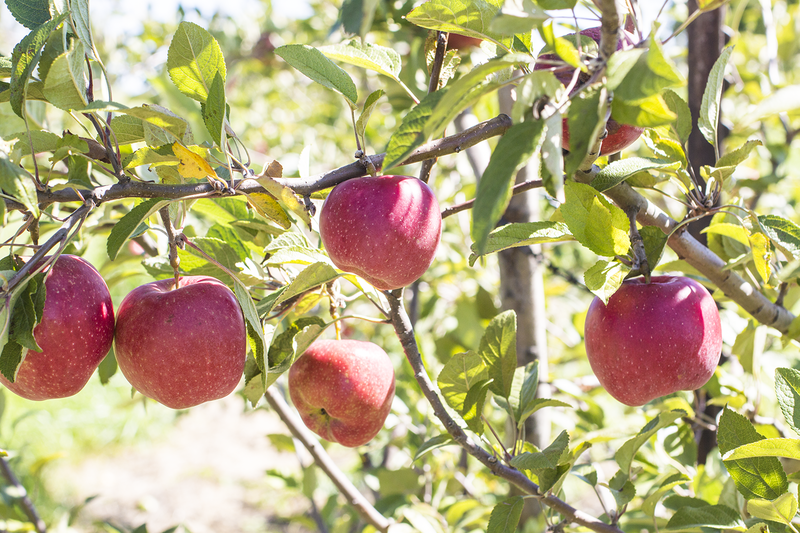 Adam and I decided to go to the local orchard a couple weekends ago and it was the most insane orchard I have ever seen. 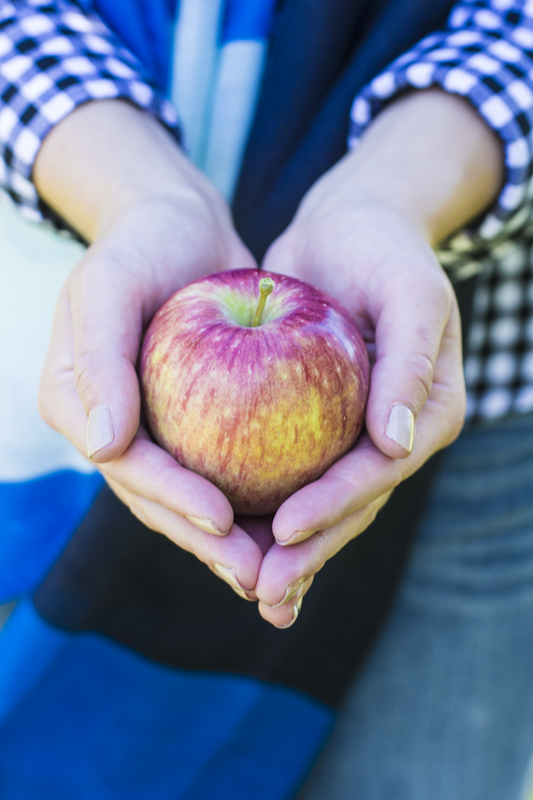 There were so many different barns with activities for kids to do and the rows of apple trees were endless. We picked up a piece of their homemade apple pie on the way home, and I may or may not have eaten the whole thing and kept it to myself. I think it is safe to say that I will be living in plaid until spring. I have found that although my taste may be very detailed and bold, I like to keep my outfits simple with not a whole lot going on. 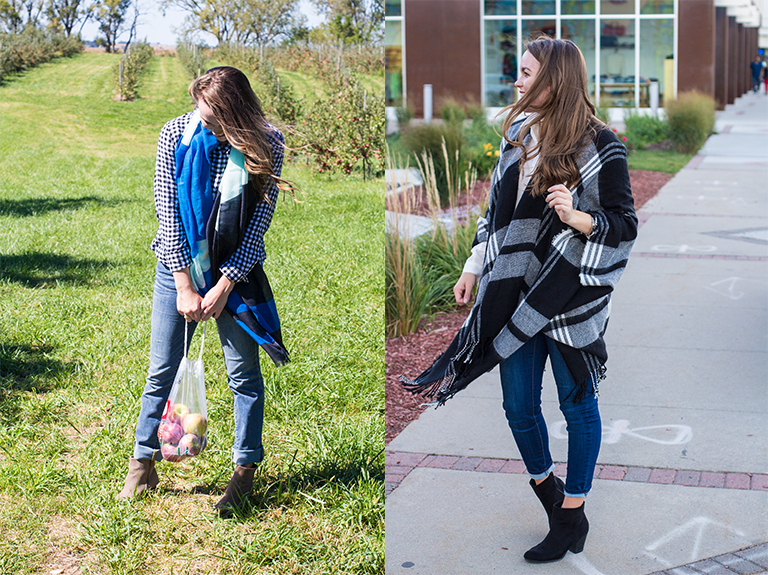 A top, scarf, or cape is all you need to complete a basic fall look. You can find more plaid must-haves on the Target website. Oh, and the Adam Lippes for Target collection is coming out on the 27th…how amazing is this puffer vest?